St. Charles County’s newest state-of-the-art indoor shooting range and gun shop with membership packages for every level of shooter. Offering a variety of classes on a number of subjects, including Conceal/Carry classes, gun maintenance, and more.  Eagle Eye USA contracted with Action Target of Provo, Utah to design an indoor range with the most technologically advanced equipment on the market. We have a full retail shop with a wide variety of pistols, rifles, scopes, knives and accessories. Click the button below to give us a call, email us, see our hours, or see where we’re located. Our nationally renowned gunsmith offers a full range of firearms repair, restoration and customization services with on-premise machine shop and refinishing facilities.